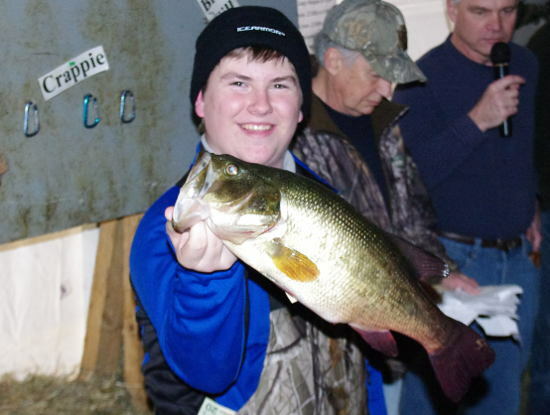 First Place Bass, Josh Cramer, 4.79 lbs. 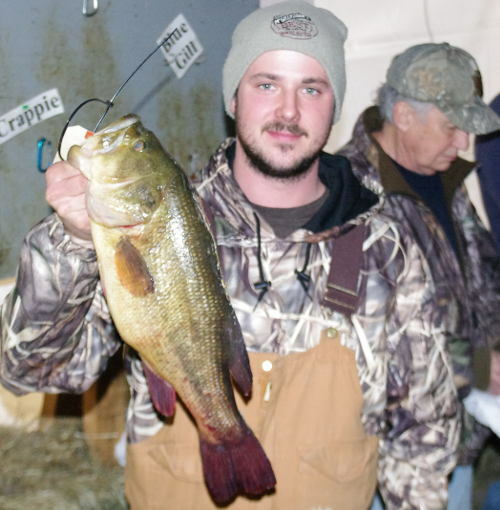 3rd Place Bass, Cody Cuda 4.20 lbs. 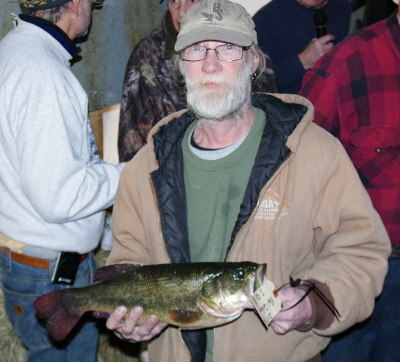 Fourth Place Bass, Paul Solberg, 3.92 lbs. 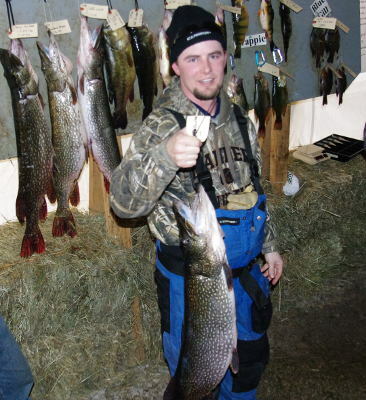 1st place northern, Brad Burke, 15.04 lbs. 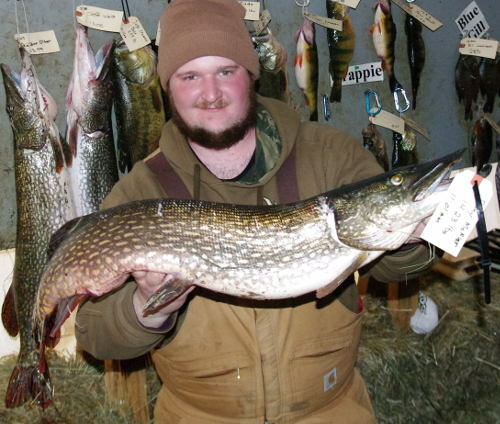 Brad had the 3rd place northern in 2014. 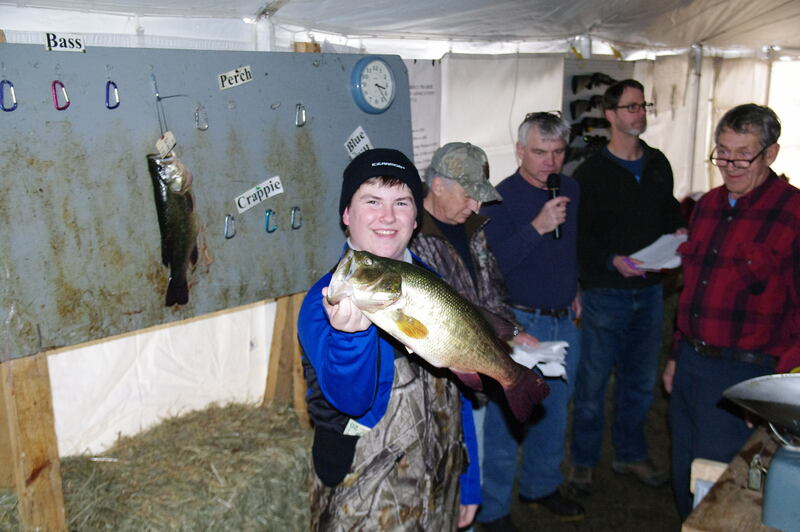 2nd place northern, Danny McAlar, 14.23 lbs. 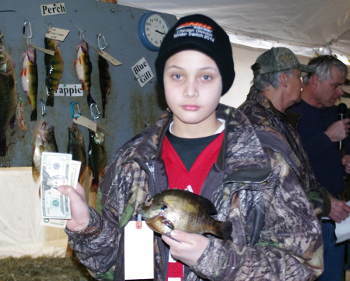 1st Place Bluegill, Eli Lachecki, 0.63 lbs. 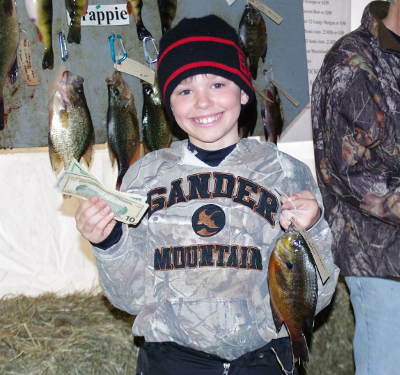 2nd place bluegill, Kaden Banks 0.60 lbs. 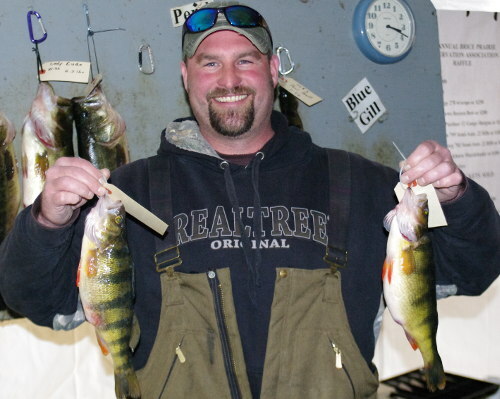 1st AND 2nd Place Yellow Perch, Jason Dresen, 1.19 and 1.18 lbs. 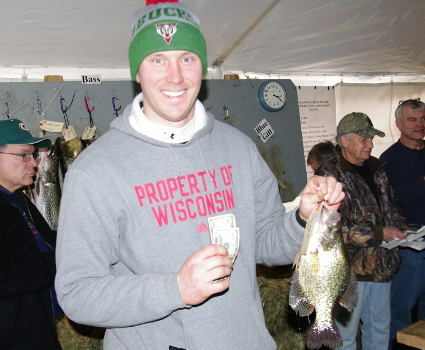 2nd place crappie, Joe Patek, 1.31 lbs.